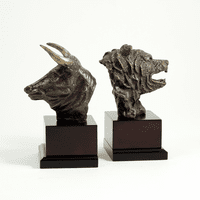 FEATURES/SPECS Give your favorite financial guru the recognition they deserve with this bull and bear recognition wall plaque. 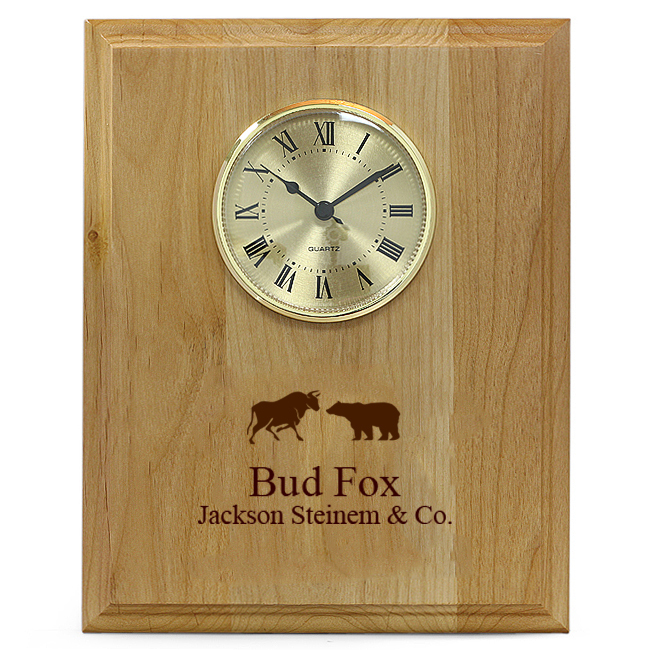 Made of solid red alder, a beautiful golf tone wood, this plaque has a quartz clock embedded right into it. Below the clock a bull & bear emblem, the symbol of the finance industry, is laser etched right into the wood. 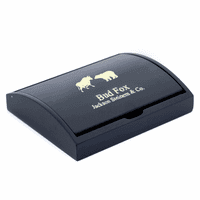 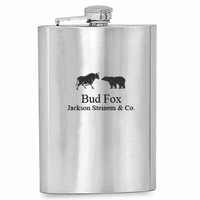 Add your own custom engraving below that for a personalized touch. 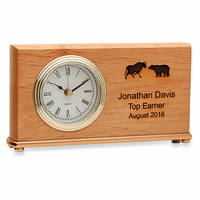 Stock brokers, traders and economists alike will think of you fondly as they display this recognition wall plaque on their office wall.